A range of autopsy saws with varying features to suit the needs of any mortuary. Designed for low noise operation. Intended for paediatrics, bandage saw use, and orthopaedics in veterinary medicine. Completely autoclavable - steam at 134°C - without disassembly. Electronic control causes a soft start, gentle on mechanical components & increases saw lifetime significantly. Ergonomic & slim construction - 700g weight - for fatigue-free use. A well balanced cutting head which weighs only 1300g and is ergonomically designed to reduce user fatigue. The unit is fed from the power supply and operates on a very safe 40 volts. 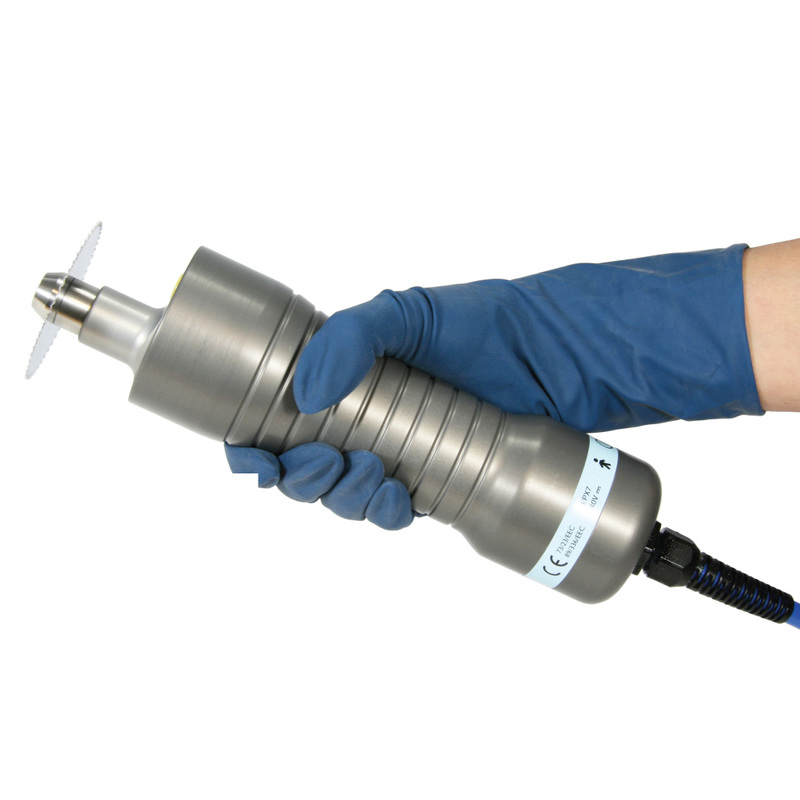 The hand piece is hermetically sealed and is watertight to IP67 allowing easy washing and disinfection so the enclosed motor cannot become contaminated. All external materials used in its construction are non corrosive. 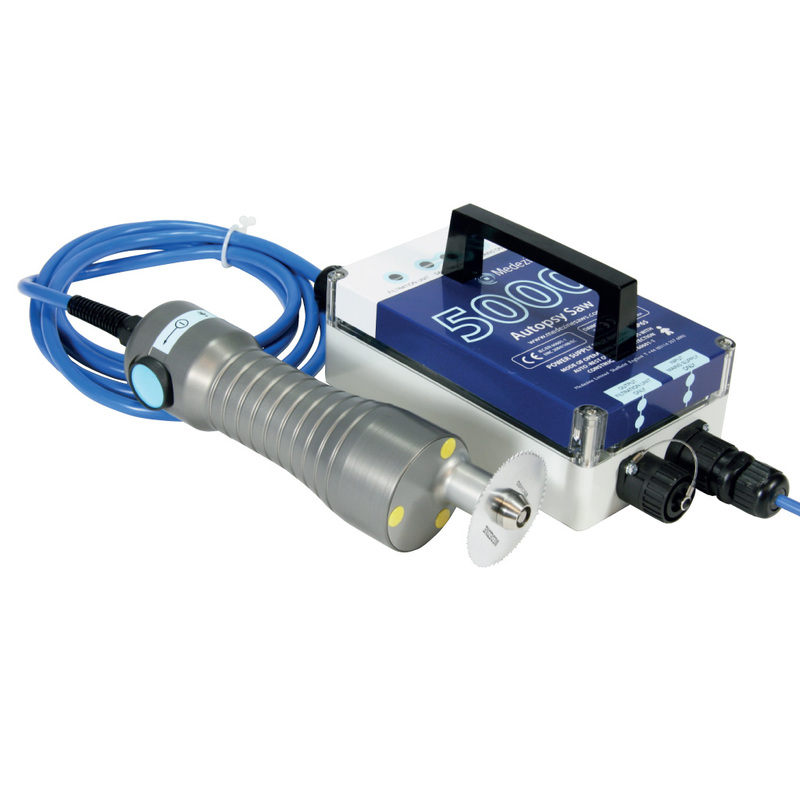 The new power supply uses a one button operation to turn on both the saw and vacuum unit and is protected to IP65 indicating its safety in a wet environment. An intelligent current limiting device which resets itself automatically is incorporated into the power supply to prevent overloading. It has been updated with the latest technology with increased power to the hand piece and updated safety features. Available in either 110 or 240 volt. Medezine have been manufacturing medical saws for over 20 years and they are now used extensively throughout the world. The new 5000 unit has been built to cope with the increasing demands in Autopsy work after working closely with its existing users. Safety and efficiency and key factors when purchasing and electrical equipment and the 5000 has been specifically designed with these features in mind. The hand piece can be fully immersed for cleaning without any danger to the user. It has been designed for ergonomic efficiency to reduce operator fatigue and is one of the quietest saws available. 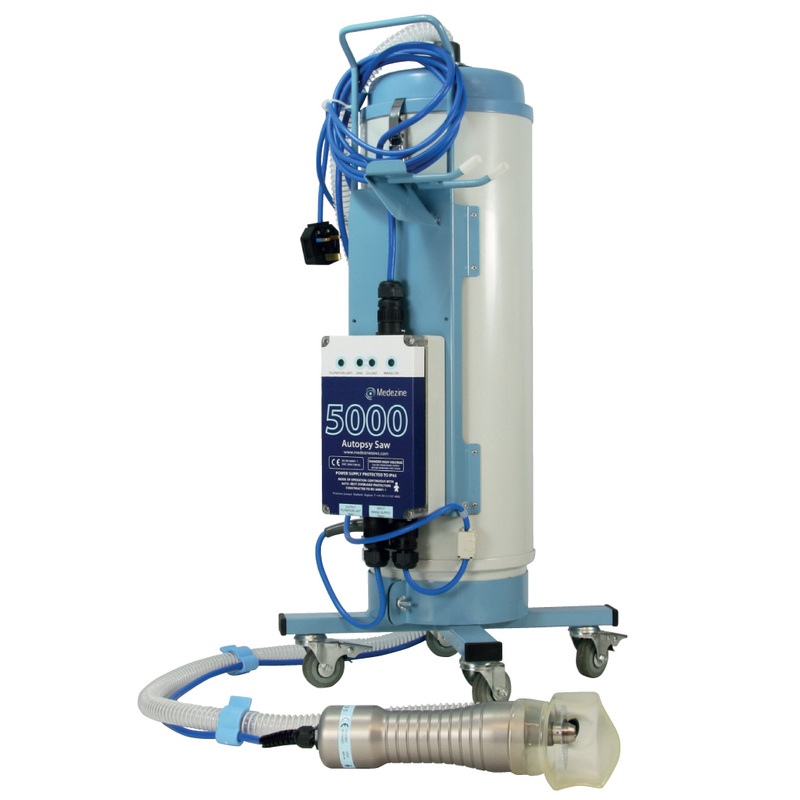 The complete Medezine 5000 system is capable of handling health endangering dusts and protecting the user from harmful debris. 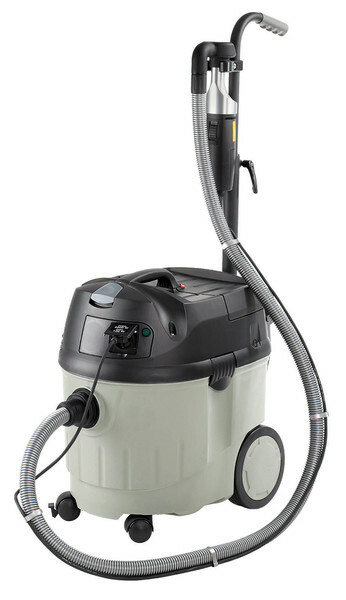 This versatile and compact vacuum cleaner with its special filter technique is specially designed for the suction/vacuuming of fine bone and tissue particles. 1600 watts turbine system provides an air flow rate of 61 l/s at 244 mbar. 99.97% of all particles larger than 0.5μm are filtered. Automatic switching on/off with autopsy saw.